The Seattle office of Lewis Brisbois Bisgaard & Smith LLP in downtown Seattle is seeking a fun, confident and sharp Litigation Secretary to work with our Asbestos Litigation Team. Come join our group of fun, clever and genuinely nice professionals that have a passion for the litigation business on the defense side! This full-time position requires knowledge of State and Federal court procedures, court rules, e-filing procedures, and docketing. Experience working with asbestos cases is always a big plus. Established in 1979, Lewis Brisbois Bisgaard & Smith LLP is a national, full-service law firm with more than 1,400 attorneys and 50 offices in 27 states. Our local Seattle office has 25 really nice attorneys with great staff supporting them. • Nuance pdf experience is a plus! The sky is the limit if you want to be busy and have fun doing so. If you would like to join our team, please apply now! Please email your resume and cover letter containing your salary requirements to SeaHR@LewisBrisbois.com and include "Litigation Secretary for Asbestos Team" in the subject line. 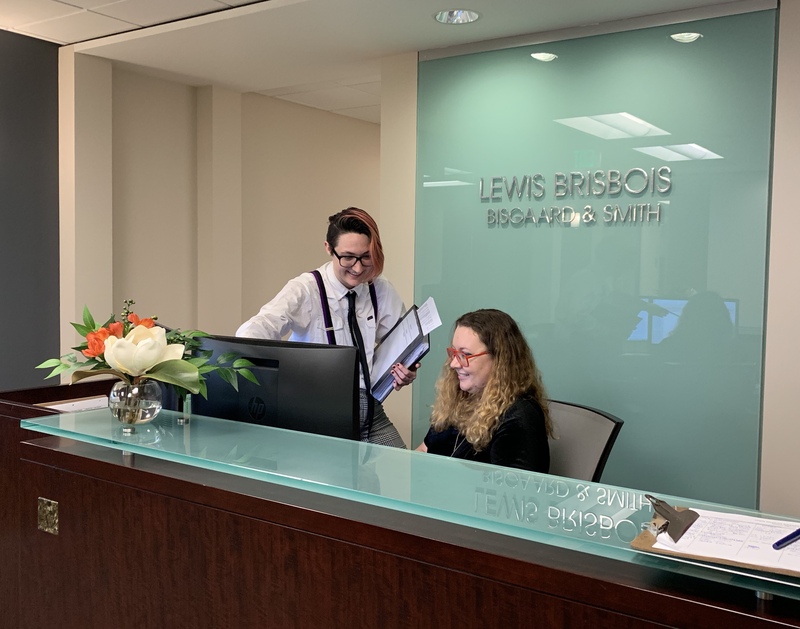 Lewis Brisbois offers a compensation and benefits package including health, dental and vision insurance, vacation and sick leave, transit reimbursement, 401k and more!